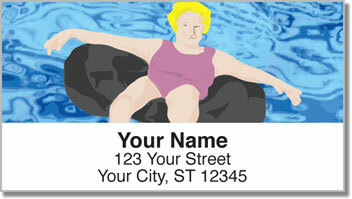 Let the lazy river take you away and lay back in your big rubber inner-tube. Soak up the sun, appreciate the outdoors and have a few laughs. Now this is what we call recreation! 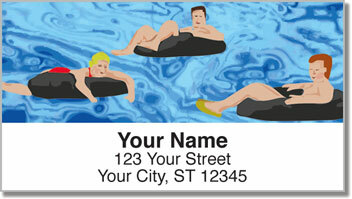 These fun return address labels from CheckAdvantge display illustrations of an easy-going summer afternoon when there's nothing to do but drift downstream. 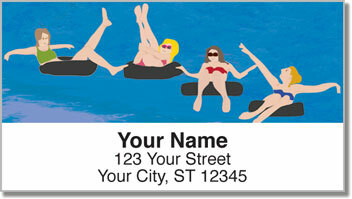 If you love living life with a laidback attitude, these return address labels are a great choice. They have a self-adhesive backing, which means all you have to do is peel and place them on all your outgoing mail. That leaves more time for chilling out! 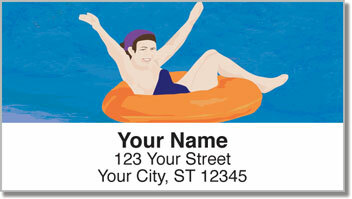 Order your very own Tubing Address Labels right now! Get them with a set of matching personal checks.